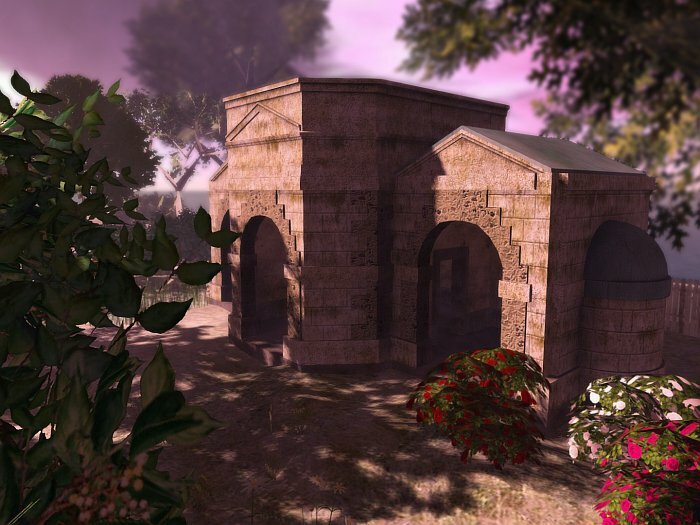 The A2NZ team is back in Second Life with a new brand: Timetwist. 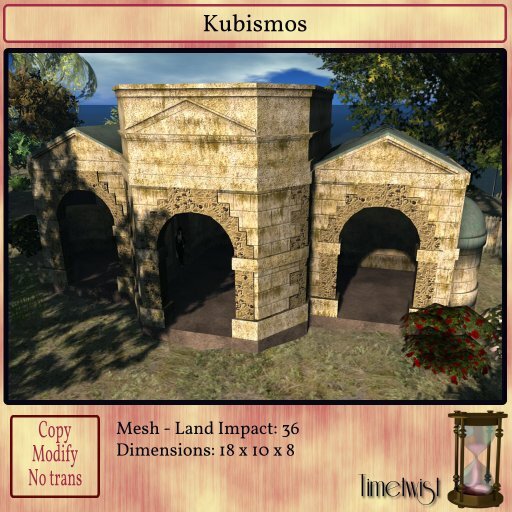 Our first Timetwist creation is a mesh build, lovingly made in Blender: Kubismos. Inspired by a real build seen in Hyde Park, London, Kubismos is the faux-greek temple your garden needs. It will shelter secret romances in its alcoves while standing proudly in your park. Featuring original mesh and textures, Kubismos also benefits from fine-tuned Level of Details and Physic shapes. What it means to you is that it'll look good up close and personal and from afar too, while still keeping a reasonable land impact.